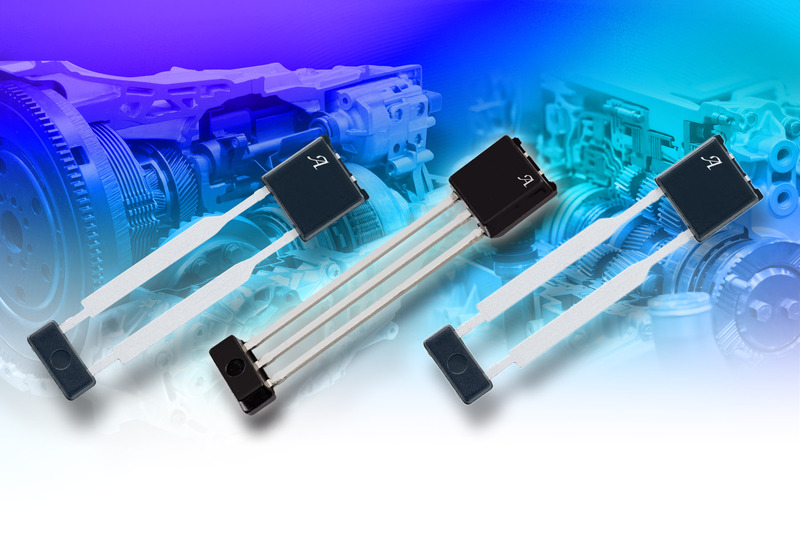 Allegro MicroSystems Europe has announced the release of its most advanced transmission speed sensor family members, complete with ASIL B certification. The A19520, A19530, and A19570 magnetic sensor ICs are the product of nearly 20 years of application-specific experience and technological advancement - including GMR and Hall effect technology. The A19520, A19530, and A19570 magnetic sensor ICs measure speed and direction information and integrate EMC protection capacitors. The sensors also incorporate Allegro's SolidSpeed Digital Architecture, a mixed-signal architecture that enables the widest dynamic range of air gap, distinction of vibration versus rotation, stray field immunity, and highly adaptive performance. Each product brings a unique offering to the family. The A19520 allows compatibility with existing transmission designs, thanks to its performance and selectable output protocols. It uses Hall effect technology and a two-wire interface. The A19530 provides advanced signal processing, open/short detection capability, and selectable speed or speed and direction output protocols. It uses Hall effect and a three-wire interface. ­Using GMR and a two-wire interface, the A19570 brings the same high algorithmic performance as its Hall effect counterparts - but at significantly larger air gaps and with flexible device orientations.